The cardboard floor display stand are flexible, creative, sturdy, affordable and recyclable, perfect for advertising, promotion and display. 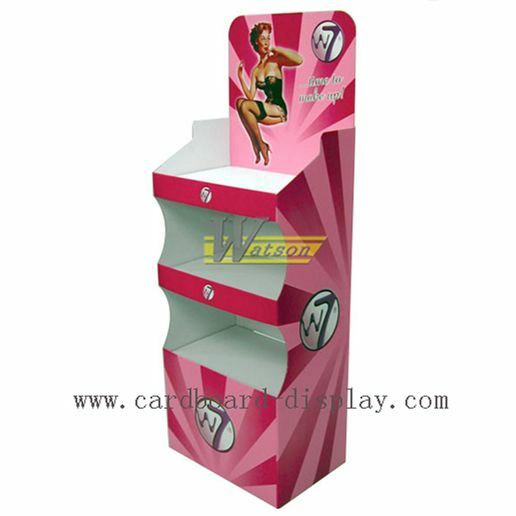 We can customize any style, size and color of cardboard counter display according to your requirement. The corrugated tabletop display is flexible, creative, sturdy, affordable and recyclable, perfect for advertising, promotion and display. 9. Customized designs and logos are accepted. Hong Kong WATSON printing & packaging Co., LTD is specializing in producing and designing various unique styles: paper shelves, paper stand, paper displaying, paper show box, paper pallet, paper promotion display, paper counter sitting, paper corrugated stand, paper billboards, PDQ counter sitting, POP display, gift display, glasses display shelf, cosmetics display, food display, sun oil display, cell phone decorations display, clothing display, electronic products display, small decorations display, chocolate display, toy display, various products display, packing color box, paper bags, gift boxes, cards, brochures, and other types of exhibition, supermarkets and stores, etc. Why choose Watson Printing&Packaging CO,. 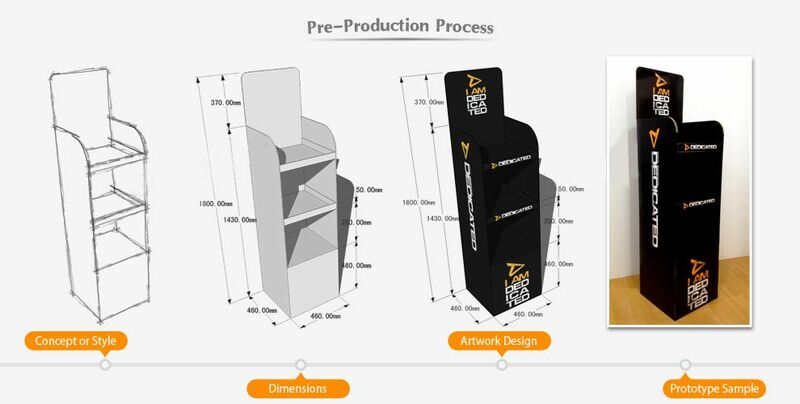 We are engaged in Cardboard display industry for many years, and we have our own designers and professional production team, providing lots of Cardboard display styles for customers to choose. Every Watson Printing&Packaging CO,. (cardboard-display.com) product undergoes an extensive testing and quality control procedure, ensuring every item purchased meets global quality standards. Watson offers only the highest quality products, allowing customers to shop with confidence. Watson Printing&Packaging CO,. (cardboard-display.com) as a China-based global online production manufactrer. Eliminate unnecessary costs, to provide customers around the world with the lowest price, Watson committed to providing customers with high-quality goods. With a wide variety of payment options, Watson Printing&Packaging CO,. 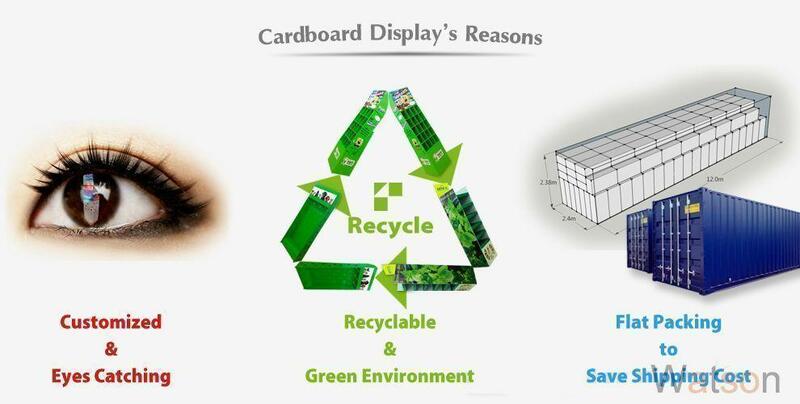 (cardboard-display.com) offers convenience to customers worldwide. Purchasing options include major paypal, wire transfer, Western Union. Watson has a payment method that works for you, with VeriSign's world renowned secure payment technology keeping your information safe at all times. Watson Printing&Packaging CO,. (cardboard-display.com) offers excellent, comprehensive customer service every step of the way. Before you order, make real time inquiries through use of our live chat. Once you’ve made a purchase, our customer service representatives are always on-hand to answer questions through our website’s easy to use ticket system. Shop with confidence and save with Watson! Watson Printing&Packaging CO,. (cardboard-display.com) Partnering with internationally trusted logistic service providers such as DHL, EMS and UPS, Watson ships to over 200 countries around the world. A variety of expedited shipping methods means there's a convenient delivery option for every budget. 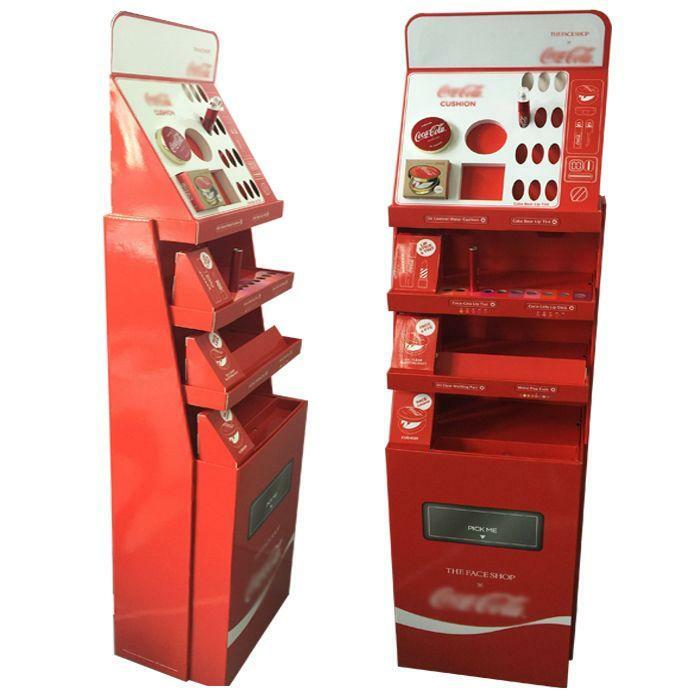 professional leading manufacturer for producing kinds of cardboard display stands and racks such as cardboard dump bin,peg hook display,cupcake stands,pallet display rack,magazine display,advertising standee,standee display and so on.